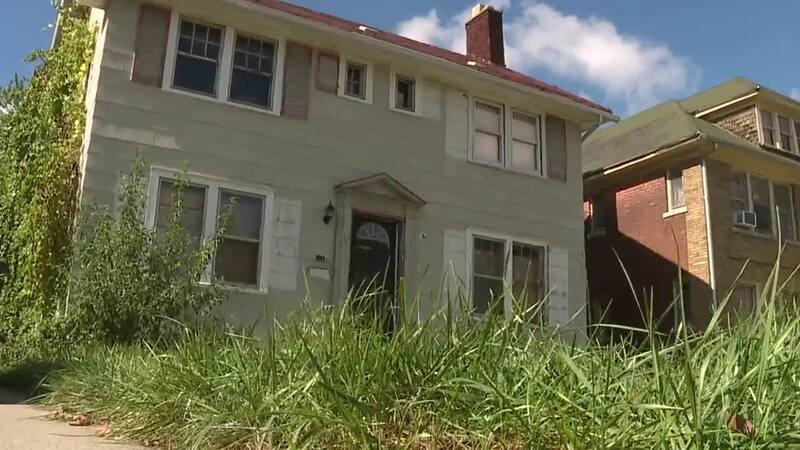 Who wants to live next door to a house that’s been vacant for a decade? It is rotting, stripped and at one point had squatters living inside without plumbing. “They were throwing their human waste out in the backyard,” says Carolyn Jones. She does live next door and wants the house torn down. She’s lived in her house 44 years and it is paid for. 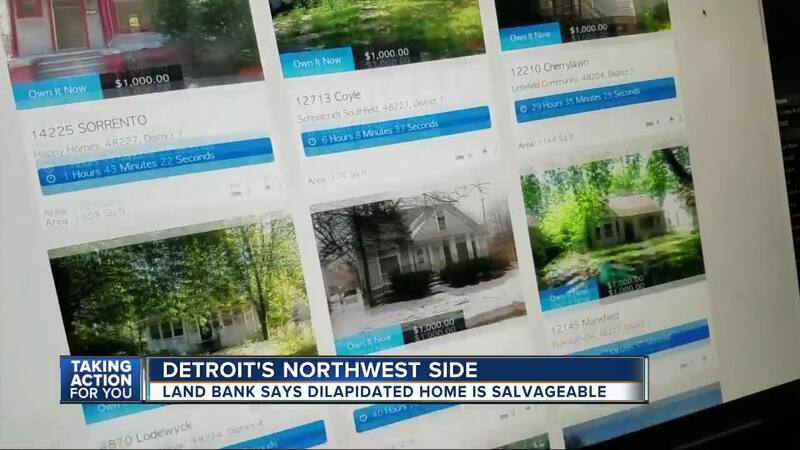 The house on Mark Twain on Detroit’s northwest side has been in the Detroit Land Bank for 19 months. It was not boarded up, and the grass and trees were severely overgrown, even knocking down the fence in Carolyn’s backyard. “This is not fair,” she complains because she also showed us how she’s been emailing city hall and the mayor’s office for three years and has gotten no reply. “I wasn’t going to let it go. They haven’t done anything. That’s why I wanted somebody to see what I’m talking about. I’m not just making it up and what they’re doing to my property. And please help me do something about it,” she said. Once we called the mayor’s office, an army showed up to mow the grass, cut the trees and securely board up the house. We did a walkthrough of the house with them and found it to be stripped to the bare walls – the kitchen is gone, the plumbing may need to be replaced and the electrical is shot. “Right, you have to replace all that,” said the inspector with the Land Bank. Darnell Adams is the Land Bank's director of inventory. He says this house would need $60,000 to give it new life. But is that cost effective in Detroit? Even more staggering: the sheer numbers in Detroit. The Land Bank has 28,000 vacant homes and buildings. Most will be demolished. Seven thousand have been deemed suitable for sale and new life. That means Detroit could have 7,000 Carolyns who want their blight gone. If it is sold, the work would start next year and must be done up to code.